THIS EVENT’S LOCATION HAS BEEN UPDATED. 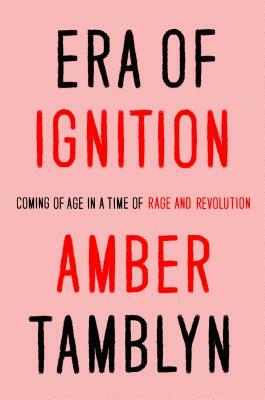 Amber Tamblyn will appear at Brookline Booksmith from 6:00-7:00pm (ticket required) to discuss her new memoir, Era of Ignition. A public book signing will follow her talk. Amber Tamblyn is an author, actor, and director. She’s been nominated for an Emmy, Golden Globe, and Independent Spirit Award for her work in television and film, including House M.D. and Sisterhood of the Traveling Pants. Most recently, she wrote and directed the feature film Paint It Black. She is the author of three books of poetry, including the critically acclaimed bestseller Dark Sparkler, and a novel, Any Man, as well as a contributing writer for the New York Times.